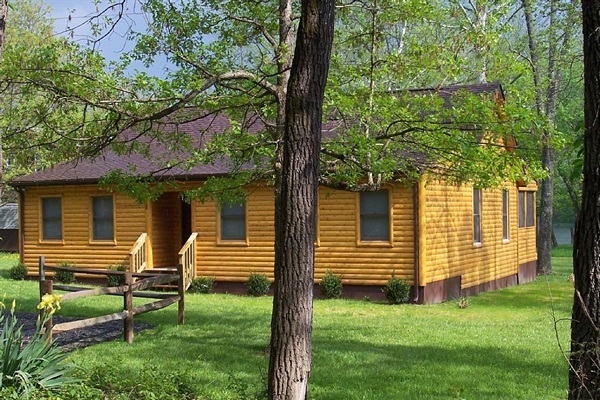 This beautiful log cabin is located on the scenic Shenandoah riverfront minutes from Luray, Virginia. You can relax on the large screened in porch, enjoy fishing, canoeing or tube down the river, BBQ and picnic along the riverside, or walk directly across the street to hike in the George Washington National Forest. Truly a great place for a memorable vacation. Nightly rate includes 4 total guests. Additional guests are $25/night.